The monthly Shreveport – Bossier Area Real Estate Market Report highlights the current real estate market conditions in Northwest Louisiana including the Parishes of Caddo, Bossier, Desoto, Bienville, and Webster and the cities of Shreveport, Bossier, Haughton, Benton, Stonewall, and surrounding areas. All data is from the NWLAR MLX (Multiple Listings Exchange) and is believed to be accurate but not guaranteed. For a detailed market report for your home and neighborhood, contact me directly at 318-754-7039. What’s Happening in the Northwest LA Real Estate Market? There is no question we are in the throes of the busy spring selling season here in the SB. 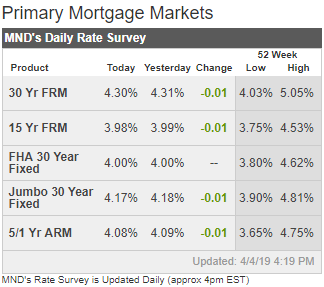 March was booming and the trend will likely continue through at least July as interest rates are at their lowest since January 2018. If you’re thinking about putting your Shreveport – Bossier area home on the market soon, NOW is the time to start preparing it for sale – and quickly! As sales increase, so does inventory so you’ll end up competing with more homes the longer you wait. More competition means you’ll need to bring your A game and make sure your home is presented in the very best light. I know the importance of properly staging a home for sale and sometimes spend hours getting a home show ready before putting it on the market. If you’re not sure what you need to do to get your home on the market, give me a call for a free consultation and market analysis. The current inventory (number of residential homes listed for sale) in Shreveport – Bossier and surrounding areas is around 2,347; barely an increase from last month so we’re not quite seeing the influx of new listings…yet. However, there were 749 homes listed in March – an increase of nearly 200 compared to February – while 252 homes either expired or were withdrawn from the market. A total of 443 homes were sold in March, a 29% increase from February sales. The increase in sales can be contributed to the significant increase in pending sales in February. Since 443 homes went pending in March compared to just 357 in February we will continue to see sales increase in April. The average sale price in March was $169,928 or $87.70/sf. The average list price to sales price ratio increased a hair to 96.2% meaning for every $100,000 the seller is asking for he actually receives $96,200. This percentage doesn’t include seller contributions to buyers closing costs or other costs to the seller. The average amount of days a home was on the market (DOM) before it went under contract (before buyer and seller agree on price and terms) was 82 and the average actual number of days (ADOM) a home was on the market until the sale was finalized (seller receives the money and the buyer receives the keys) was 119 – the exact same numbers as February. 71105: 23 homes sold in March with an average sale price of $189,284 or $88.15/sf. The average days-on-market is 87. Click here to see all of the available homes for sale in 71105. 71106: 42 homes sold in March with an average sale price of $276,674 or $114.02/sf. The average days-on-market is 87. Click here to see all of available homes for sale in 71106. 71115: 19 homes sold in March with an average sale price of $260,358 or $111.98/sf. The average days-on-market is 92. Click here to see all of the available homes for sale in 71115. 71118: 23 homes sold in March with an average sale price of $129,719 or $83.57/sf. The average days-on-market is 81. Click here to see all of the available homes for sale in 71118. 71111: 55 homes sold in March with an average sale price of $198,529 or $105.42/sf. The average days-on-market is 67. Click here to see all of the available homes for sale in 71111. 71112: 25 homes sold in March with an average sale price of $190,848 or $109.49/sf. The average days-on-market is 78. Click here to see all of the available homes for sale in 71112. 71037: 29 homes sold in March with an average sale price of $207,276 or $111.11/sf. The average days-on-market is 79. Click here to see all of the available homes for sale in 71037. 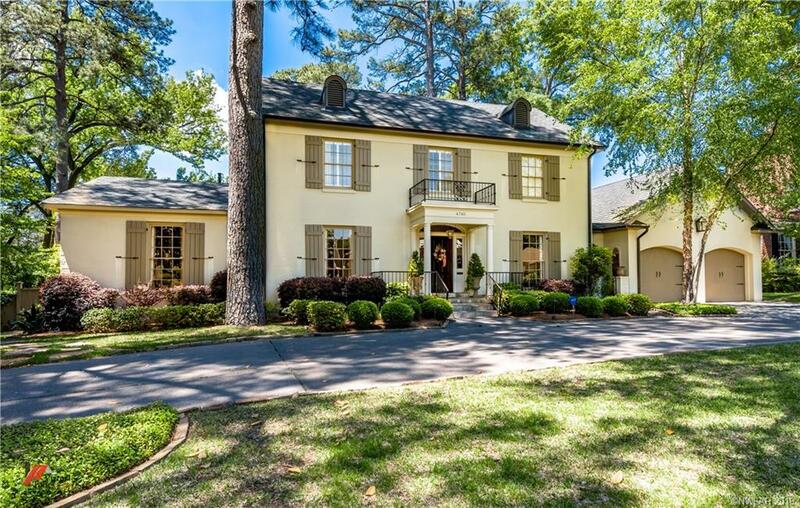 A stately renovated home in the Fairfield Historic District holds the distinction of the highest priced home sold in Shreveport – Bossier in March. This elegant circa 1936 home sits on ¾ acre and features a beautiful in-ground pool, spa, and outdoor fireplace. The interior features a chateau design style with exposed beams, custom stone fireplace, wood floors, brick and stone accents, and a chic wine room locked behind a gothic wrought iron gate. This incredible home sold in a little under a year for $900,000 cash. It was originally listed for $1,375,000. The highest priced home listed in March is a stunning 30-acre estate with a Frank Lloyd Wright inspired home with over 6,000 square feet of living space…including an indoor pool! See all of the details and beautiful pics here and call me if you would like to schedule a private tour of this one-of-a-kind home! Are you curious about how much your home is worth? This Real Estate Market Report is a good start, but if you’re interested in the market values in your particular area, contact me for a market analysis specific to your home and neighborhood. In addition to your detailed report, I can also provide information about seller closing costs and contributions to buyer’s closing costs (a common practice in our area) to give you the true cost of selling your home. I will also prepare a net proceeds worksheet so that you’ll have an estimate of your bottom line. Check out 4 Ways to Get Top Dollar for Your Home to get my best tips for home sellers. Interest rates are the lowest they’ve been in the last 10 months so now is a great time to start exploring home ownership. 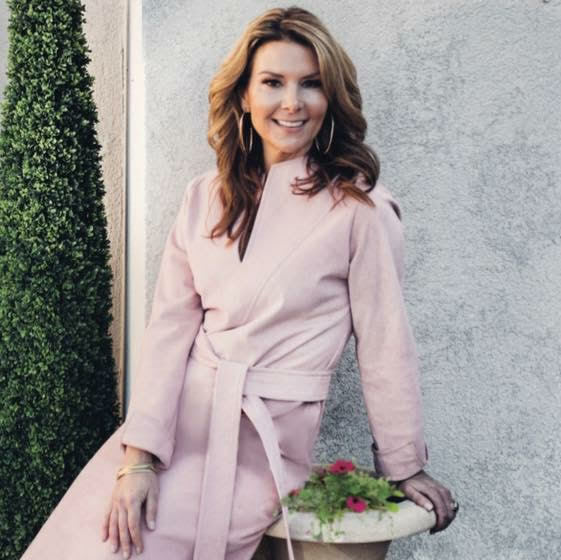 If you’re ready to purchase a home but aren’t sure where to start, contact me for a needs analysis so that we can determine what type of home and area is the best fit for your situation. I can also help you find a reputable local lender that will determine which loan programs are best for your particular financial situation. If you’re not sure if you qualify a quality lender will work with you to remedy any issues with your credit and get you on the path to home ownership. Check out 5 Tips for Buying a Home and Dealing with Financing for more insight into the home buying process. Interest rates are lower than they’ve been since January 2018 so NOW is a great time to get on the path to home ownership or move up to your next home! You DON’T have to have 20% down to purchase a home. FHA Loan Programs offer mortgages with only 3.5% down payment and conventional loans are available starting at only 3% down payment with some of these available with no monthly mortgage insurance. VA Loan Programs – a popular option for our area considering we’re the home of Barksdale Air Force Base – offer $0 down payment mortgages with no monthly mortgage insurance to eligible military active duty and veterans and $0 down payment rural development loans are available for eligible homes outside the city limits. Low- to median-income and first-time borrowers may qualify for down payment assistance through special loan programs.